InsolitumIn: If you still show around, added few of my arts I made! Grazzt: Holy s**t Tinc how much did you spend on your Outfits ?? They're very nice !! Tinc3: @grazzt there is a new mobile game that ncsoft and netmarble published called Lineage 2 Revolution! Come join me, im playing in Ken Rauhel 02 server! Grazzt: But I still love the "idea" of the Shillien Empire, what could we do with it ? InsolitumIn: Me and Tince won't make it to event, because we are at gaming conference. We are really sorry. But have a good time guys! Tinc3: can we somehow edit it ? Grazzt: I'm back from my holidays !! And I found out that we now have 10 members, so we can have a Guild Bank and a Guild Heraldry !! First off, a little bit of history for those of you who aren't familiar with the Shilien Empire. "The Shilien Empire" was first born in Lineage II about 10 years ago, as one of the only RP Clans the servers had at that time (along with another great RP Clan called Echoes of Darkness). 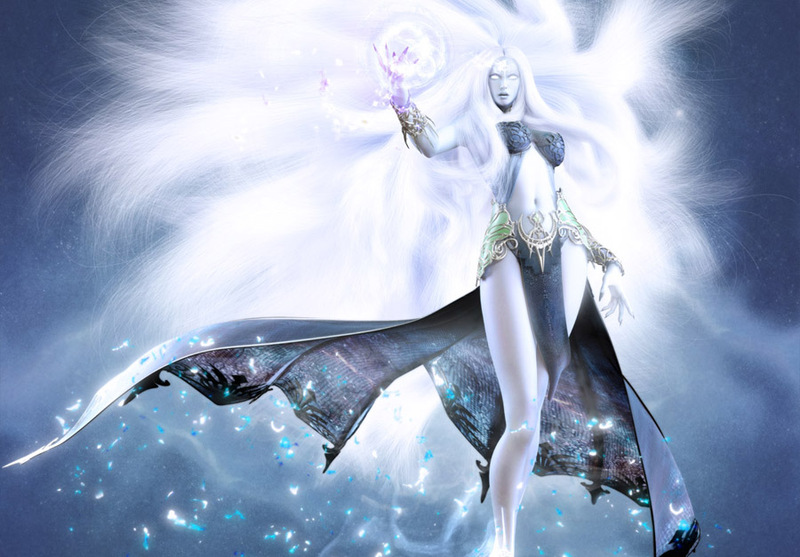 It then went on hiatus for a little while after the Goddess of Destruction update which actually saw the return of Shilen on Aden, only to be born again on the Lineage II Classic server ! When most of our members moved from Lineage II Classic to Elder Scrolls Online, the Shillien Empire rose again on Tamriel, and here we are today ! Well, the Shillien Empire is a RolePlaying Guild, located on the European PC/Mac server. 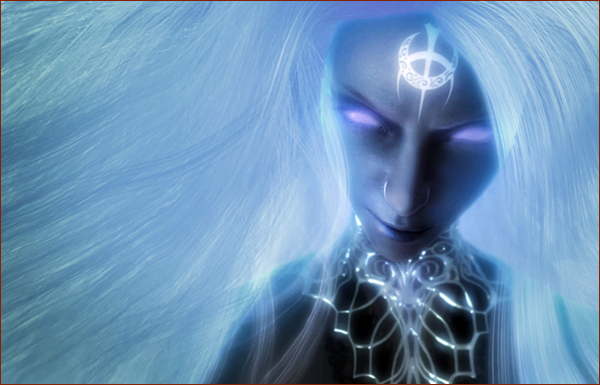 It's an underground cult dedicated to the long-lost and forgotten Dark Elf Goddess Shilen ... did she really exist, can she return to Tamriel, or are her followers just a bunch of lunatic Dunmers ? This last part is important, as it is what prevents us from breaking the official Elder Scrolls Lore. We're not deciding to add another Goddess to the mythology just like that, in our Guild lore there's no mention of Shilen anywhere in Tamriel, and we're trying to understand why ! But why is our Goddess called "Shilen" and our order the "Shillien" Empire ? Because "Shilen" is the name, and "Shillien" is the adjective. For example, in Lineage II, the Dark Elf class of Shilen's warriors is called "Shillien Knight", for the same reason. One of the (many) great things about Elder Scrolls Online is the possibility for players to be part of more than one Guild at a time, so the Shillien Empire, being a small RP Guild, doesn't have to be the main Guild for people who are also interested in PvP, high-level dungeons and everything. It can be your main Guild of course, or it can also be a place where you come whenever you feel like it to get RP fix ! The Shillien Empire has been formed about a month ago, and things have already happened ! We started with only 3 members, and we now have 7 dark brothers and sisters ... only 3 more and we'll be able to get our Guild Heraldry & Guild Bank ! 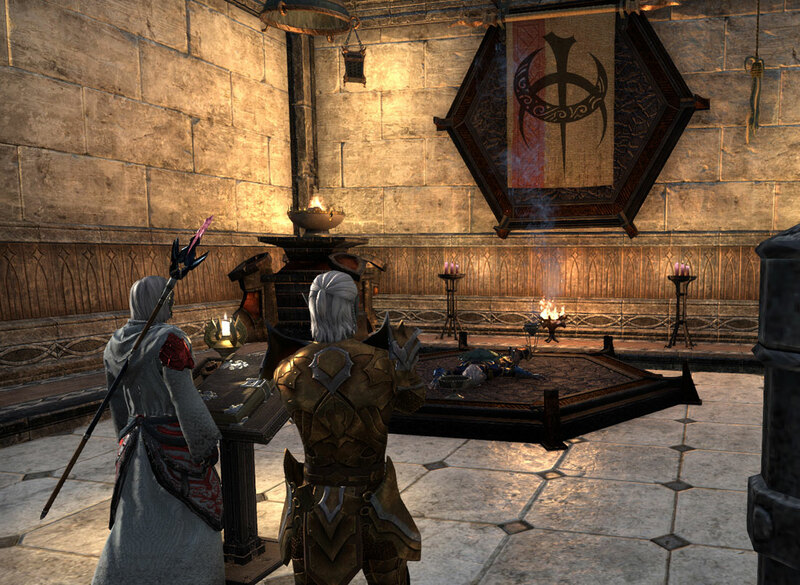 With our weekly RP events, our RP story has also started to develop, we're now performing dark rituals to include non-Dunmers into the order, and make them pledge allegiance to Shilen herself ! Some of those rituals have gone good, some others have gone ... incredibly bad, and will force us to investigate hidden ruins and ancient artifacts all over Tamriel ! To not make this post too long, more will be revealed about those rituals and our whole RP story in our next State of the Guild post, so stay connected !